I'm Zack, and I'm a one-stop shop for your musical needs. Scroll down or click above to learn more. You've got songs, and I can help you make them happen! Let me use my experience as a songwriter, musician, producer, and engineer to capture the best version of YOU. We can work from my cutting edge digital studio, or any of the several studios I have relationships with in town! Rock? Hip-hop? Folk? Pop? Metal? Whether it’s a feature length film, a 30 second commercial spot, or a modern production of Shakespeare, I’ve got you covered! As an experienced composer for film, theatre, and other media, I will work closely with you to help you realize your artistic vision, supporting the emotions and aesthetic of your content. With my fluency in a diverse range of styles and genres, extensive catalog of music production libraries, and local network of incredible musicians, I'll have your project sounding like a million bucks in no time. You've worked hard to craft a unique and exciting live set, and you deserve a live engineer who works just as hard to capture it! I work closely with my clients, learning their music and their set to ensure that every lyric, guitar solo, and drum fill is delivered to your audience with power and clarity. With a decade of experience working hundreds of shows ranging from indie rock at block parties to Grammy Award-winners in arenas, you can be confident that I'll have you sounding at your best under any circumstances. I'm currently based in Chicago, where I've mixed at dozens of venues. Whether you need underscoring, sound effects, or just to amplify your ensemble and orchestra, you can count on me to work with your team to have the best sounding show in town! 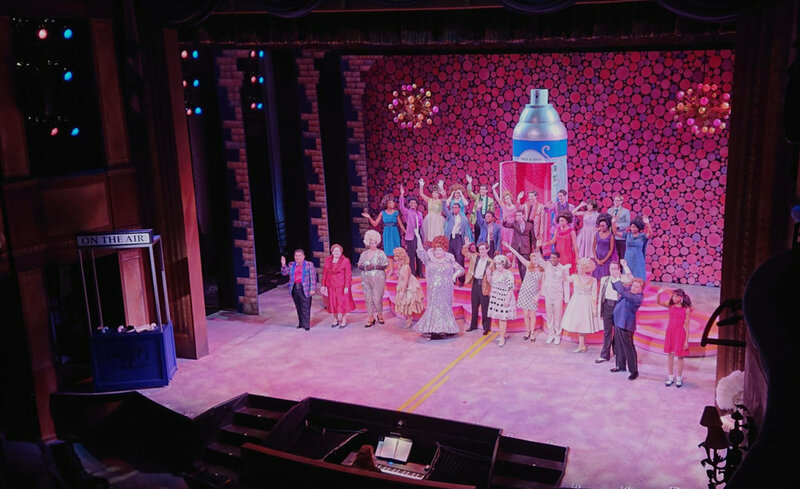 Recent production highlights include Hairspray and Annie at Skylight Music Theatre (Nominated for a Footlights People’s Choice Award for Outstanding Sound Design), Souvenir and Milwaukee Rep, and How I Learned to Drive at The Artistic Home. Need a custom curated music playlist for your event, restaurant, or fitness class? Need a piece of music transcribed or arranged into publication-ready sheet music? Putting together a concert or event and need an Audio expert to get things running smoothly? The bottom line is this: if your project needs musical expertise, I can either help you, or refer you to someone who can. So what are you waiting for? Let's make some magic happen. I'm Zack Berinstein, and I've been working in the music industry since 2009. I've got a Bachelor's of Music Degree from the Contemporary, Urban, and Popular Music program at Columbia College Chicago, and interned at Groovemaster Recording (Megadeth, Plain White T's) under Grammy Award-Winning producer Johnny K. I've freelanced in dozens of roles across the country, including for clients like The Barre Code, Skylight Music Theatre, and Music Dealers. I play guitar, keyboards, and a little drums and bass. "Zack was an extremely capable and professional engineer/producer. He was patient and inventive and I am proud of the final record!" "Zack is a truly professional engineer whom I've had the pleasure of working with on over a dozen occasions. He always managed to make the bands sound exceptional, even in some rather acoustically challenging settings. Above all, he was so organized, punctual, and accommodating that it made for a smooth show every time." "Zack knows his music! He's reliable, easy-to-work with, and mixes the best current beats with some always appreciated throw-backs!" The bottom line is: I believe we can make something awesome together! So drop me a line, and let's make it happen!